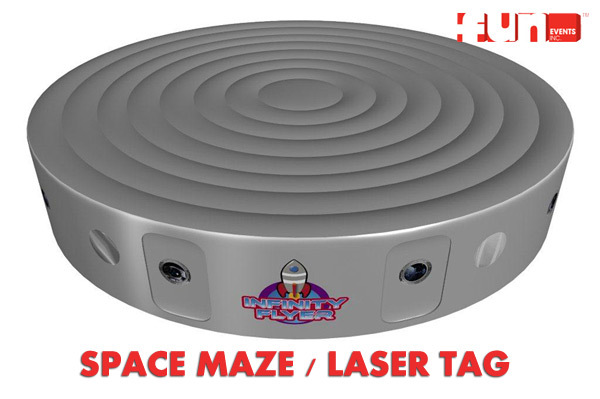 Explore through the many various tunnels and paths inside of the Infinity Space / Laser Tag Maze. Yours guests will enjoy navigating through the fun inflatable space maze. For enhanced excitement add our optional laser tag equipment so guests can safely run through and hide from others while trying to eliminate other players.